Thinking about going back to school to improve your manufacturing credentials, or changing careers to something more hands on and creative? What about manufacturing apprenticeships? For many, tech school has provided the opportunity to meet the increase in skilled manufacturing jobs returning to the U.S. However, opportunity comes at a price and higher education of all varieties is increasing in overall cost. For example, a full-time student at an East Coast technical college can expect to pay annual tuition as high as $12,136 for out-of-state students, and $4,072 for in-state students. 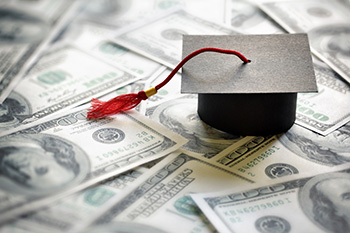 In the event that a prospective student cannot pay tuition and fees out-of-pocket, that price tag only increases with added interest on student loans, significantly reducing the benefits of obtaining a degree to begin with. Additionally, some graduates still struggle to find employment due to the lack of work experience a classroom doesn’t provide. As a result, manufacturers and job seekers alike have been forced to explore more accessible options. Some manufacturers still use apprenticeships to train new employees, providing them both the education necessary to work in manufacturing and job security. Typically, an apprentice who proves their skills and work ethic will be offered a position with the manufacturer they apprentice for, because the company has already invested time and money into that employee. This option is especially appealing to those still needing to earn an income while pursuing their education, because manufacturing apprenticeships are paid. Post-apprenticeship employees also have a higher starting salary due to the work experience they’ve already acquired. In contrast, graduates of tech schools and community colleges often have to work unpaid internships or low-paying entry-level jobs to prove their skills before earning a desirable income. 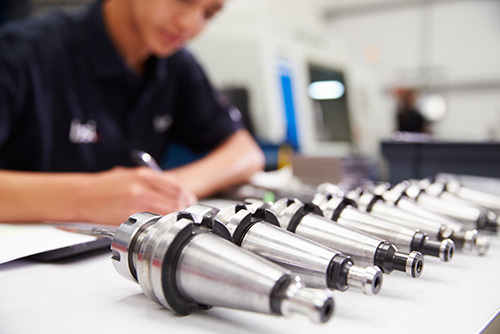 So if manufacturing apprenticeships is what you’re looking for, seeking out this hands-on experience could be your most cost-effective option. PD Peterka is one of those manufacturers still using apprenticeship programs. If you’re looking for manufacturing opportunities local to southeastern Wisconsin, click here or the button below for more information on the programs we offer. If you’re located outside that region, manufacturing apprenticeship programs all over the world can be easily found online.